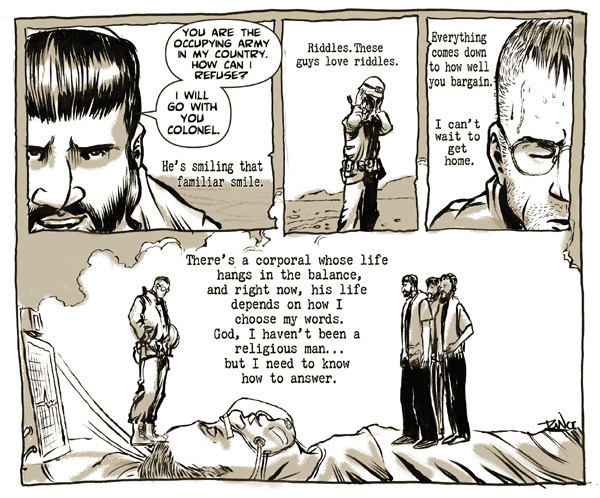 Rabbi Encounters is a webcomic I launched in 2006. I try not to explain much about it, I prefer the readers discover it’s meaning and purpose on their own. Below is chapter one. 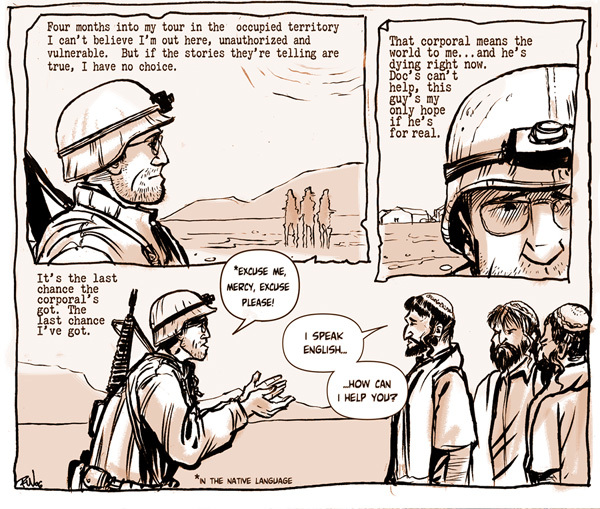 The full comic can be HERE. I discovered this today, through http://www.belfry.com/comics/. I like it! A lot. For future reference may I use your stories to illustrate a sermon or two? Thanks Norman! Feel free to use the stories as long as it’s for the promotion of God’s Kingdom, and not for personal profit. 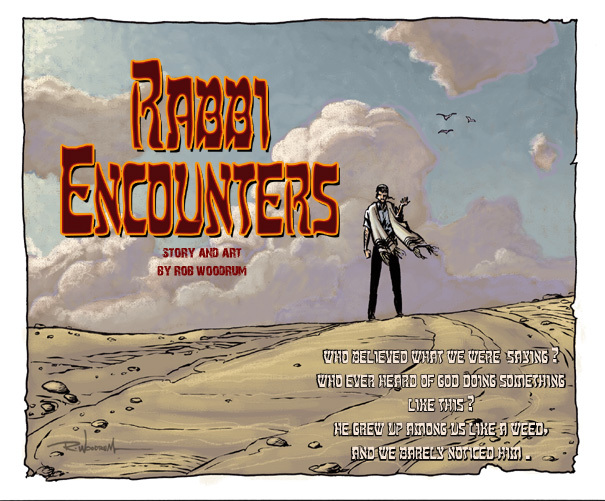 So are you still working on the Rabbi Encounters, and just haven’t had a lot of time to spend on it because of ministry stuff (trust me I MORE than understand), or are you taking time to develope new stories? I hate to sound like I’m pushing you to get some done or whatever, I just really like them and was curious. Thanks very much for such an honest and human view of the Rabbi. 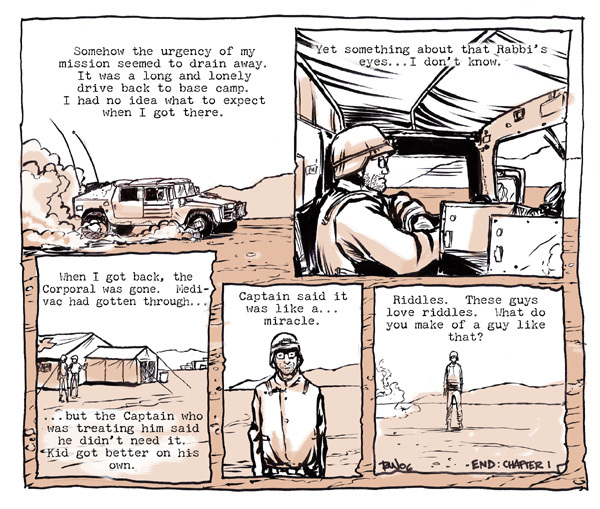 Those comics mean a lot to me. Rob this stuff is great. I am actually going to show my Rabbi here at school! bis-millah. I ran across a painting called in God’s Hands (or something like that) but i can’t find any information on it. Is it one of yours? I think I sent my first email to the Tapas website by mistake, so I’ll post it here. Hi, my name is Courtney. I’ve started a free blog recently containing my journals on how Jesus brought me through mental illness and the revelations he left me to share with others. 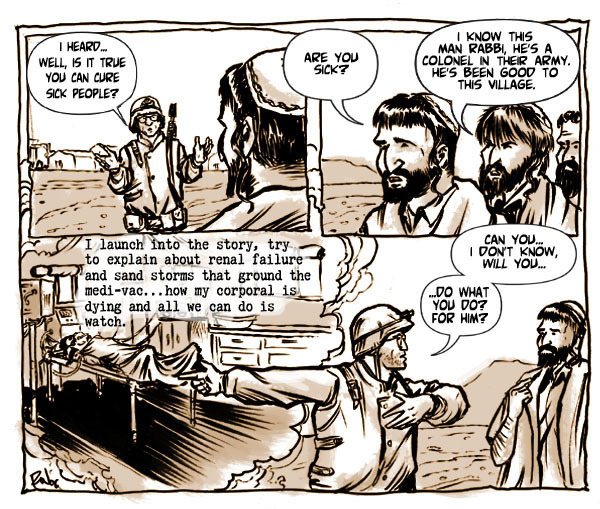 I stumbled upon the ‘Rabbi Encounters’ comic, and it brought me to tears with its beauty and grace. 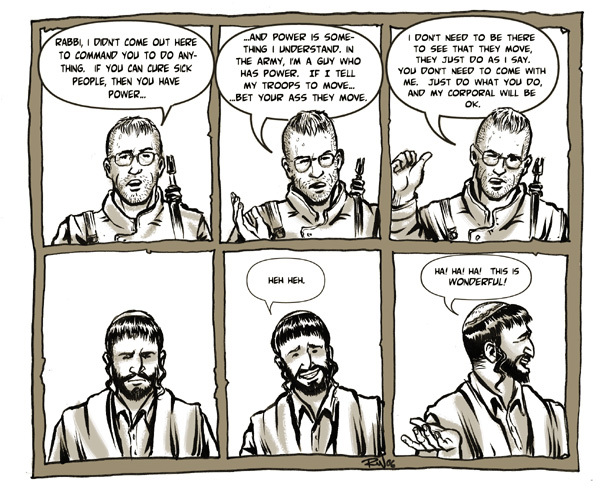 With your permission, I would love to link this comic to my website so all can see how Jesus works in and applies to our modern world. Thank you for your time and consideration, and have a blessed day! Courtney – please feel free to link to rabbiencounters.com – and I’m so glad that you found the stories encouraging. It sounds like you have a wonderful story yourself! 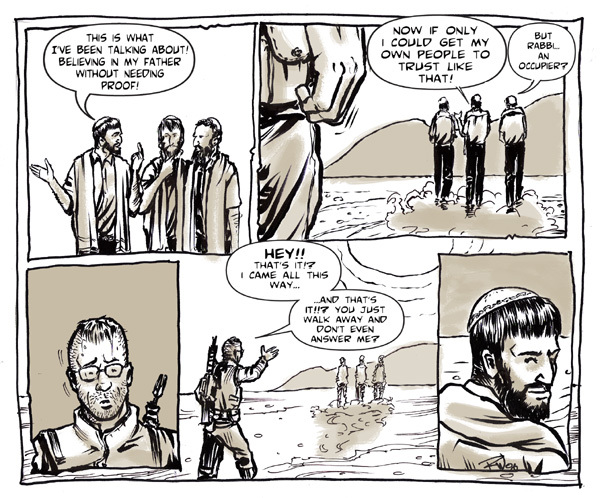 I’ve really enjoyed reading Rabbi Encounters. I work at a church in Sydney, and I was wondering whether you had hard copy versions of your comics we could purchase for our youth group?